Andrew has been professionally involved in viticulture for over 25 years. After completing a science degree at Flinders University, a brief casual vineyard role at a corporate vineyard, developed into a 15 year stint working in Technical Viticulture and Grower Services. 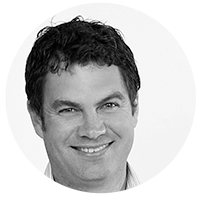 ​Currently, Andrew is a Business Development Manager at Winegrapes Australia. Winegrapes Australia manages the sale of grapes from member vineyards from across South Australia. He has worked and lived in McLaren Vale for the last 18 years. Andrew was elected to the council in November 2016.